Rt. Hon. 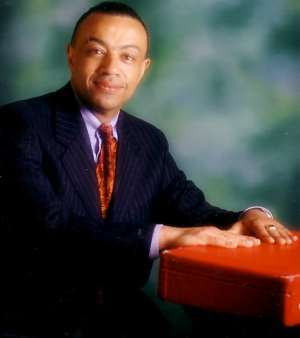 Paul Boateng, British Chief Secretary to the Treasury has said the key to the success of Africa was the development of indigenous African enterprise. Speaking in London at the 1st Anniversary celebration of Ghana Tours operators of Britannia Airways flights to Ghana, Mr. Boateng said the company had by its performance demonstrated a way forward for Africa. He said foreign aid and debt forgiveness would come to nothing without the sort of enterprise, foresight and dynamism represented by the superb operations of Ghana Tours. Hon Paul Boateng urged the travelling public to Ghana including British, Ghanaians and blacks in the Diaspora to patronise Ghana Tours. He declared; “It is no use praising Ghana Tours for its success but at the same time not supporting it”. He urged the Ghana government to continue its initiatives aimed at bringing prosperity to the nation and called on Ghana Tours not to rest on its oars. “For Ghana Tours, for Ghana, for Africa, private enterprise and its initiatives for the future, backed by the sort of stewardship that is currently represented by the government of Ghana, which has led to high economic growth, lower inflation and interest rates, good governance for the country, I say, Forward Ever, Backward Never” said Rt. Hon. Paul Boateng.